Looking for a low-key, part-time job with great benefits worth nearly $1,100 an hour? Try running for harbor commissioner. Or for almost $600 an hour, there's always a seat on a local sewer board. Serving on the board of one of the Bay Area's more than 200 special districts that oversee everything from recreation leagues to cemeteries won't make you a household name in politics, but it could make you a five-figure salary-and-benefit package for very limited work. Even the elected officials who benefit were surprised by the hefty hourly rates, which this newspaper calculated through an analysis of government meeting minutes and the Bay Area News Group's public salary database. "No way, no way. Are you kidding me? It's nowhere near that much," said Leonard Battaglia, 84, a longtime director at the Richmond-based West County Wastewater District who received $50,332 in compensation for attending 85 hours of district meetings during the year -- a little more than two full-time weeks of work, which comes to a rate of $592 an hour. But the El Sobrante business owner and political consultant later acknowledged he didn't know what his benefits -- including medical insurance and pension contributions -- cost the district. 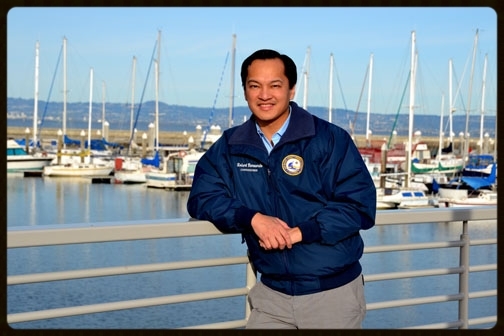 San Mateo County Harbor Commissioner Pietro Parravano got $25,757 in cash and benefits last year for attending 21 meetings that lasted on average 77 minutes each, the analysis shows. That's $1,094 an hour. 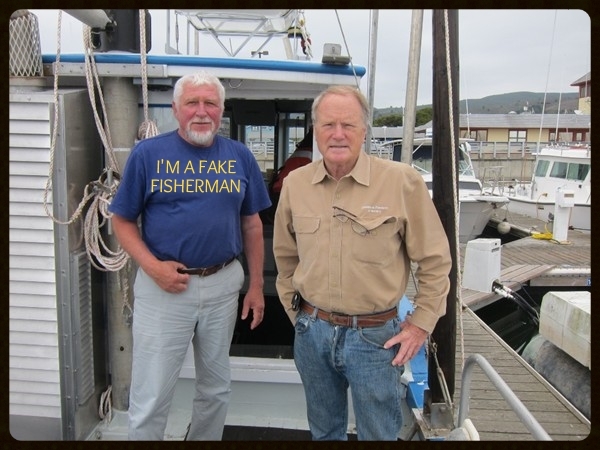 Parravano, 64, a commercial fisherman from Half Moon Bay who also serves on several national fisheries commissions, said he's never questioned receiving full benefits for the part-time office he's held for nearly two decades. The harbor commission oversees two marinas and a park and employed 27 workers in 2012. "It's what was offered when I got here," said Parravano, whose 2012 compensation included medical insurance worth $18,500 and $7,200 cash. "I am an employee and it's part of the policy." But government spending watchdogs said compensation like Battaglia's and Parravano's is a needed reminder of something few taxpayers realize: the vast expense incurred for thousands of elected officials far beyond the state's counties and city halls. More than 3,400 of these little-known agencies are scattered throughout California, according to a 2007 state Senate report, compared with 478 incorporated cities and towns. These agencies each provide, often with little public scrutiny, a special service such as water, parks, transit systems, harbors, open space, fire protection, mosquito spraying or sewage disposal. And the people elected to run them are sometimes paid more than other part-time elected officials who oversee city governments and school systems, often with thousands more employees. The newspaper analyzed pay and benefits data, which was collected from more than 300 Bay Area government agencies and is displayed for the public at www.mercurynews.com/salaries. It shows that of special districts releasing compensation, nearly 94 percent of part-time board members were paid in 2012, with an average compensation of $6,650 last year. About one in five received medical coverage from the district they oversaw. Parravano and Battaglia were among 69 elected officials at special districts in the region whose total compensation exceeded $20,000. "If that's not milking the system, I don't know what is," said Jon Coupal, president of the Howard Jarvis Taxpayers Association. "It's mind-boggling. Anywhere else they'd get $100 a meeting and that's it." Being a San Mateo County harbor commissioner can pay even beyond the grave. When Commissioner Sally Campbell died in April 2012 during her 20th year in office, her cash pay stopped but the district continued to fund her medical insurance at a cost of more than $18,000. That's because Campbell included a grandson, whom she'd adopted to make a legal dependent, on her policy. Campbell had a longevity benefit that made her eligible for lifetime medical coverage at commission expense after she left elected office. That benefit entitles her dependent to the insurance even after her death. The district will be responsible for it until her grandson's 26th birthday in May 2019, said Marietta Harris, the commission's human resources manager. The policy could cost taxpayers nearly another $100,000 before it ends. "Do I think that's good public policy? 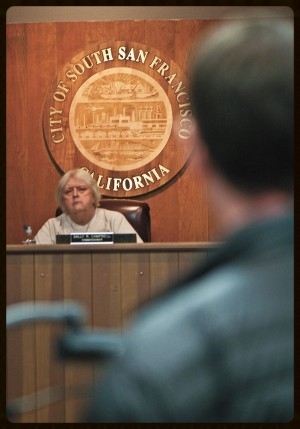 No, I don't," said the harbor commission's president, Robert Bernardo, of South San Francisco. "But that benefit was grandfathered into her package. When she died it became a promise that we have to keep." The district no longer offers commissioners longevity benefits, said Bernardo, who declines to take the district's insurance. It is unclear how many districts offer either longevity or lifetime medical benefits to board members, but it is not unheard of, said former Assemblyman Joe Nation, now a Stanford University public policy professor. Nation said when he began his political career on a Marin water board, he was told he would qualify for lifetime health insurance if he served two terms. He fought against the policy and it was eventually rescinded, he said. "It was wrong, just plain wrong." Agencies often give their elected officials -- even those who are part-time -- the same medical insurance that rank-and-file employees receive, but that practice is fraught with conflict, said Pleasant Hill activist Wendy Lack, a former city of Walnut Creek human resources director. "Elected officials are most certainly not public agency employees," she said. "Unfortunately, many elected officials identify with employees and, often over time, come to believe publicly subsidized benefits are an entitlement." For his part, Bernardo said questions from this newspaper caused him to ponder whether special districts like his should offer medical benefits to elected officials at all. When compensation like Parravano's is compared to the amount of time spent in the job, "it makes you look at it differently," Bernardo said. "It's a very large amount of money. I've never thought about it this way before, but I have to say that we shouldn't (provide benefits)." Battaglia, however, sees no problem with benefits for part-time board members. He was first elected to the West County Wastewater District in 1975, when Gerald Ford was president and the Cincinnati Reds and Boston Red Sox played one of the greatest World Series ever. For 38 years he has served on the board of an agency that provides sewer service to about 36,000 customers and employed 56 people last year on a $13 million budget. Battaglia's 2012 gross compensation was among the highest for part-time public officials in the region and tops among special districts employing fewer than 1,800 people, data shows. In exchange for 85 hours on the job, he received $19,489 in cash pay and benefits worth $30,743. "I've never broken it down," he said. "I just know what I pay taxes on," he said. Battaglia isn't the only West County sewer board director among the region's highest compensated part-time elected officials: Alfred Granzella, 87, claimed more than $46,000 in pay and benefits and George Schmidt, 83, more than $43,000. Each qualifies to receive health insurance from the district after they leave office. Overall, the tiny district's cost of compensating its board last year was more than $182,000, the highest in the region for a five-member body. Plus, its five members have spent more than $40,000 in district funds since 2010 to travel to state sewer conferences, mostly in Palm Springs during winter months, records show. Schmidt accounted for about half those costs. The district operates far from the public spotlight. Its single task is disposing of sewage in parts of Richmond, the city of San Pablo and a small portion of unincorporated Contra Costa County. The board's bimonthly public meetings begin at 9 a.m., sometimes at a treatment plant located off a rutted, dead-end road near Richmond's shoreline. All of four people, not counting district employees and their union reps, formally addressed the board last year, meeting minutes show. Yet Battaglia received more in compensation than all but one part-time mayor in the region last year, records show. Some similar-sized sewer districts, like the West Bay Sanitary District that straddles San Mateo and Santa Clara counties, pay their directors a fraction of what West County wastewater paid Battaglia and his colleagues last year. West Bay compensated its directors a combined $13,328 in 2012 -- less than 10 percent of West County's total. The West Valley Sanitary District serving Campbell and Saratoga paid its directors a combined $26,470. 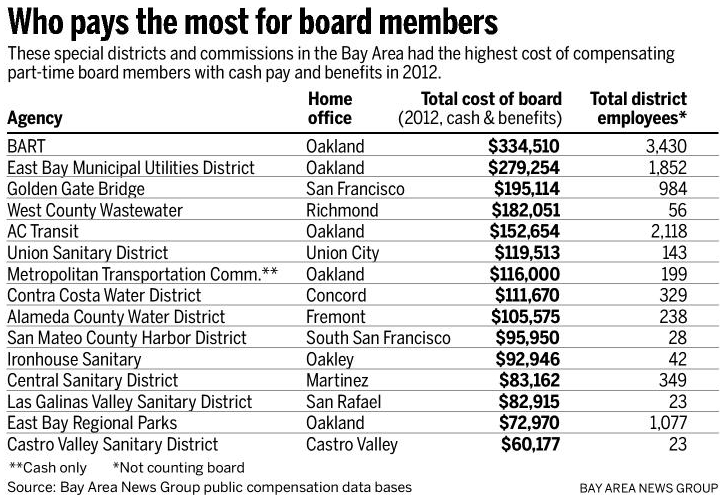 West County Wastewater even compensated its directors more in total than AC Transit, whose seven board members received a combined $153,000. Battaglia's compensation last year "sure seems like a lot of money. He's been on that board a long time," said Stanley Caldwell, president of the California Special Districts Association and a director of the Mountain View Sanitary District in Martinez. Caldwell's compensation last year was $20,548, including medical benefits, data shows. "There's work," he said. "You have to read and understand the materials." In an interview at a travel agency he owns outside Richmond, Battaglia said that he "couldn't care less" how his salary ranks compared with other part-time politicians or how the district stacks up against other sewer boards. "I have never run this district on a comparative basis. It's not a matter of money. I don't need it to live on," he said. "I do what's required." He estimated he does so much work "that goes beyond board meetings," like reading about sewer systems, that "this job's worth $3.03 an hour." He said he is "entitled to (his) benefits. I'm like an employee." "Some of our meetings last four or five hours," Battaglia said. Minutes show the board's longest meeting last year lasted for two hours and 51 minutes. The average length of both board and committee meetings that Battaglia attended was one hour and 26 minutes. If Battaglia sounds like a politician from another age, that's because he is. An Air Force fighter pilot in the Korean War, he repeatedly used slurs during an interview to describe Asian people. He was also critical of African Americans, who make up a large part of his Richmond constituency. "I flew with black pilots. I'd say 'break' (suddenly turn right or left) and they'd hesitate. They'd miss it because they think slower. They have an African-American mentality. They can't help it. It's the way God made them," he said. "Like in Richmond. It's a mess." When a reporter later asked Battaglia about those remarks, he said, "I am not a prejudiced person.'' He said he intends to seek another term on the board next year and insisted his constituents should not be offended by his comments because he is only saying "how things are." Serving as part-time director of a special district can also provide additional income for full-time elected officials who pick up extra, part-time appointments. In addition to his $176,000 compensation as a Contra Costa County supervisor, Federal Glover received another $25,712 in cash and benefits last year by sitting on the boards of two transit agencies and a sewer district, records show. Berkeley Mayor Tom Bates often mentions he declines to draw a salary in that position because he receives a state pension as a former Assembly member. But last year he picked up an extra $8,000 cash for his part-time position on the board of the Metropolitan Transportation Commission. Orinda Mayor Amy Worth, whose municipal position was unpaid, received $17,400 as an MTC board member last year. "Most people don't know real money is involved," Nation said. "It's buried and it's hidden and that's what makes it wrong. If a lot of (special district directors) would talk honestly, they'd tell you they ran for the job so they could get the benefits package." Caldwell, president of the statewide special districts association, said its members have been working to become more transparent "so we don't have any problems," especially after the city of Bell scandal in Los Angeles County, where officials looted the coffers of a small government that for years was under no scrutiny. Elected special district board members, he said, deserve compensation. Medical insurance "is a nice perk," Caldwell said. "We certainly want our board members to be healthy so they can participate." A few special districts, he said, have considered merging to lower costs but have encountered problems, such as figuring out how to combine service systems. In San Mateo County, Parravano said there is sometimes talk about rolling the harbor commission's functions into county government and doing away with the elected commission. Parravano said he loves what he does, but accepts that some may consider his position unneeded. "Change can be good." Staff writer Daniel J. Willis contributed to this story. Contact Thomas Peele at tpeele@bayareanewsgroup.com and follow him at Twitter.com/thomas_peele. 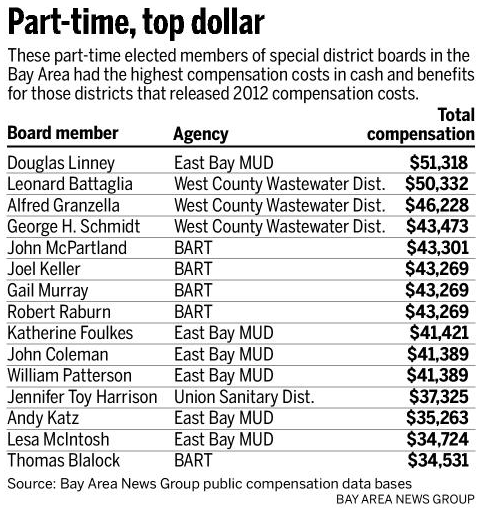 In 2012, veteran members of the West County Wastewater District in Contra Costa County were among the region's highest-compensated part-time board members when it came to cash payments and benefits, such as medical coverage.